Russian officials have fired back at US critics who said Moscow has hurt its relations with Washington by allowing former CIA employee and intelligence whistle-blower Edward Snowden to flee from Hong Kong and enter its territory. In an interview with CNN, former Republican Presidential candidate John McCain called Russian President Vladimir Putin a KGB “apparatchik” and suggested Moscow is deliberately impeding the United States’ attempts to apprehend Snowden. “We’ve got to start dealing with Vladimir Putin in a realistic fashion for what he is,” McCain told CNN. Putin responded by calling US criticism of Moscow’s handling of the affair “rubbish”. The Russian president told the press during a visit to Finland that Snowden was still in the transit area of Moscow’s Sheremetyevo airport, was free to leave and should do so as soon as possible. He also added that Moscow would not hand him over to US authorities, according to statements reported by Reuters. 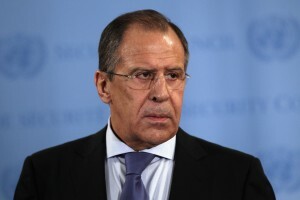 Earlier, Russian Foreign Minister Sergei Lavrov said that Snowden had not entered Russian territory and was still in transit to a final destination. “I want to say right away that we have nothing to do with Snowden, or with his attitude to the American legal system, or with his movements around the world. He chose his own route, and we found out about it – like most people here – from the media,” Lavrov said at a press conference. “He did not cross the Russian border,” the foreign minister said. Snowden, accompanied by Sarah Harrison, a representative of whistle-blowing website WikiLeaks, was being kept out of public view at Moscow’s Sheremetyevo airport transit area, according to an airport source who spoke to RIA Novosti on Monday after Snowden failed to get on a Cuba-bound plane that he had reportedly been checked in for. Staying in the transit zone of an airport would not constitute crossing the country’s border. President Putin is so far above all American politicians, morally and intellectually, they just cannot reach! Millions around the world are tired of America and their paranoia – spying on people on facebook, the internet etc. I personally view President Putin as the only leader who is desirous and capable of averting World War3. America on the other hand is looking for any excuse to start one! Pres. Putin’s handling of the Syria affair was brilliant, being a lawyer and a superior one to obama, he leaned into his discipline, using international law to stymie obama within a few seconds. No one believes or trusts obama and his administration. America has no credibility anymore. They support a company which is deliberately trying to distort nature and poison people with their so-called food. President Putin and his administration are seen by many as the only hope for mankind. Ana, I agree with 100% of what you said. I’m an American and I am sick and tired of America and what were doing to the rest of the world. I believe Putin saw his country crumble and doesn’t want to go down that road again and he sees the US going that way. I don’t believe he wants war at all. And I believe he may beat us at our own game and I hope he does because I’m ashamed at what this country has become and people around the world don’t deserve to be treated this way. It’s disgusting.